Finally. I don't remember the crocus taking this long to bloom. 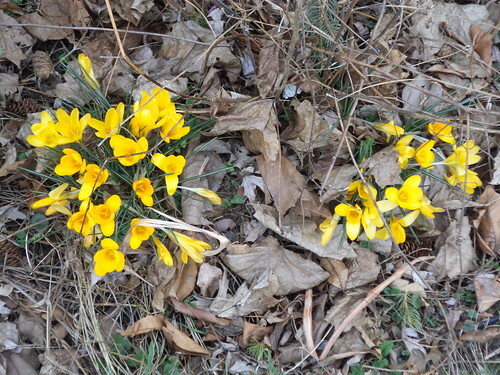 Amongst the debris from the end of fall and what was deposited over winter, my crocus seemed to take a very long time to sprout and then bloom. They are quite compact and really need to be lifted and spread out along the front of the house. I worried that they had been killed by the wicked winter and the heaps of snow. But no, a week ago, I saw the edges of leaves and then the flowers. They were just after peak on Wednesday and today, they look ratty and spent. 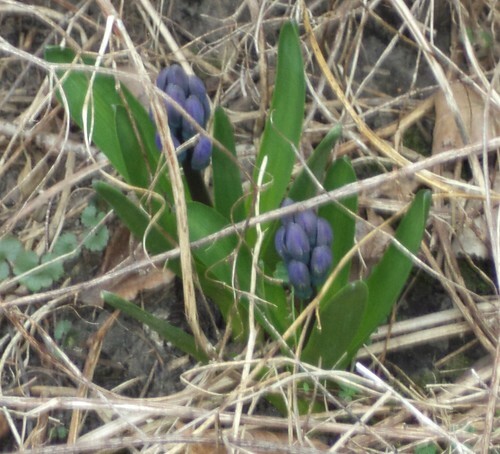 Nearby, I had the beginnings of hyacinths. Again, both the blue one above and the white one below should be lifted in the fall and replanted. The whole of the front flower bed should. It's overgrown and weedy and there are things in the bed I'd like to get rid of. But that's for another time, a later date. Right now, I am happy to see these. 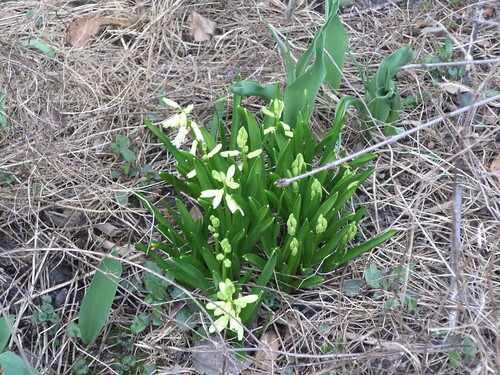 It means that in spite of the brutal cold, spring is here.